Helping Peter Jackson shoulder the burden of ensuring everything associated with J.R.R. 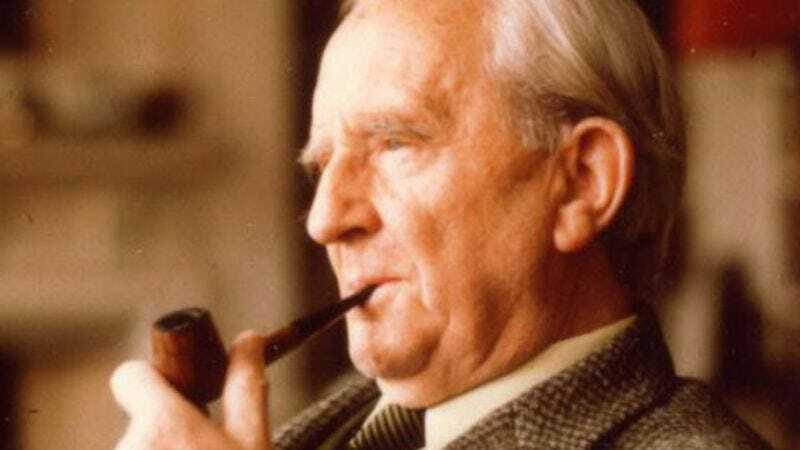 Tolkien makes it to the screen, screenwriter—and “Tolkien superfan”—David Gleeson is working on a biopic of the author for Fox Searchlight, one that will explore “the key moments in Tolkien’s life” that inspired him to write The Hobbit and Lord Of The Rings. According to the L.A. Times, those moments could include his experiences fighting in World War I, which deeply informed his depictions of combat and the relationships that are formed within it. Hopefully there will also be a Shakespeare In Love-style montage of Tolkien encountering a gaggle of really short guys, receiving thoughtful advice from his gray-bearded tobacconist, and trying to obtain a loan from his miserly banker, a giant dragon.